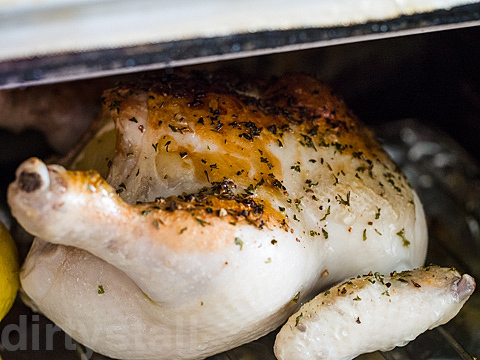 This is perfect as a simple lunch on a public holiday – a roast chicken! 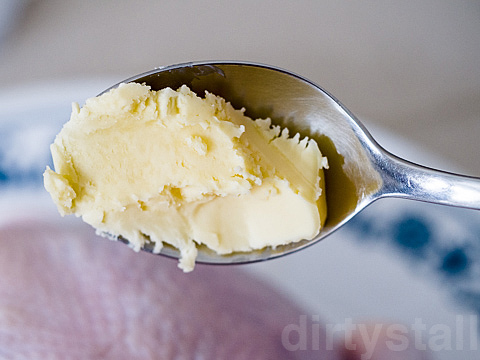 Main seasoning: butter. Rub it all over the chicken, under the skin, and inside the body cavity. 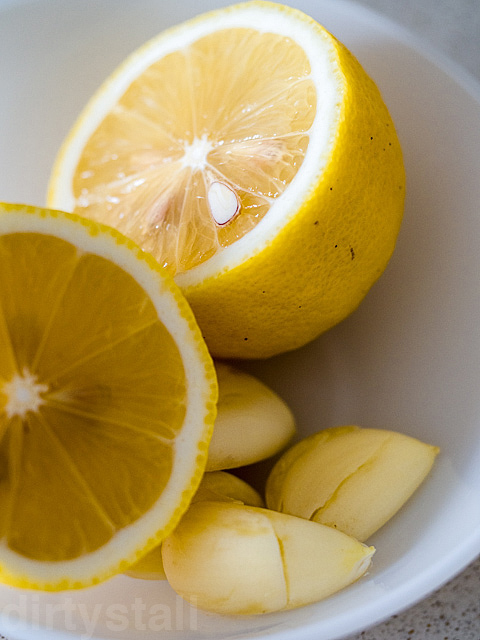 Additional seasoning: Some crushed cloves of garlic and a lemon. 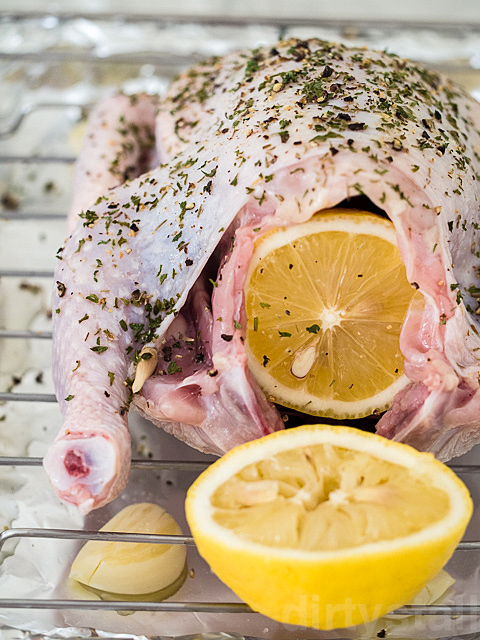 Leave garlic on the roasting tray, shove one half of the lemon inside the chocken’s body and squeeze the juice of the other half all over the chicken. Sprinkle salt, parsley, and thyme. I turned it over to get even roasting all over the chicken. 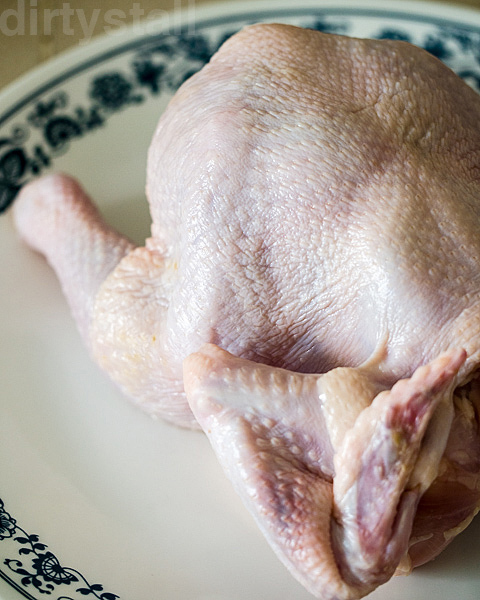 And pretty much that’s all you need to do for a simple but delicious roast chicken! And of course roast chicken is best paired with some roast potatoes as well! 4 Responses to "Roast Chicken"
good to see that you are back (posting)!